someone else?” Seldom does the question of real hunger enter their minds. Dieting, or food deprivation, can never be successful long term. When you restrict a person’s intake of food, or of one food group, or another, you simply create an elevated level of desire. This results in the person quickly reverting back to the old eating habits, re-gaining any weight lost, and often even more. 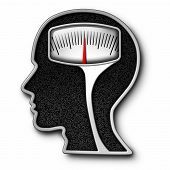 Re-training someone’s cognitive thinking about food results in a permanent change, and permanent weight loss!! If your question is: “But Does It Work?”, which is fair enough, then we ask you to visit the large number of success stories from past clients, and view their verified before and after photos here. Visit the Press Page and read the reviews of journalists from around the world who have visited the clinic to complete the treatment. Of course, if you need more convincing, then please visit the Clinical Evidence page. If you would like a member of the clinic team to call you, and explain any issues, just drop us an email with your telephone number and a convenient time to call. Cognitive Behaviour Therapy is at the centre of GMB and incorporated into each of the four sessions. Empirically Proven Cognitive Behaviour Therapy, incorporating our own ‘Twist’, TCBT, is now the most highly researched talking therapy in the world: at its core is the understanding that it is never the event that’s the problem, rather it is our belief about that event. 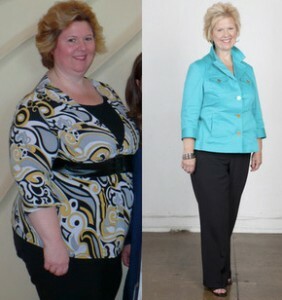 In the weight loss field, this is an easy, and very rewarding approach to understand. CBT as a primary method of creating change for those wishing to lose weight has gradually become the ‘core’ therapy, the one around which all the others are woven and underpinned during our treatment. It continues to surprise us, along with other professionals in the weight loss arena, that CBT-based approaches fail to receive the level of media exposure that they probably deserve. It has been widely accepted for a number of years as the treatment of choice, when helping those suffering with depression and also a range of addictions, but in helping those wishing to permanently lose weight, it really shines. But what of Clinical Hypnotherapy? We should never underestimate the power of the mind. Medical libraries are full of clinical trials documenting the power of the “Placebo Effect”, where change occurs simply because that is what the mind has been conditioned to expect. The scientific interest in the “Mind Body Link” is now stronger than at any time in history. Although helping people change their relationship around food can be a challenge, the GMB treatment has proven itself over ten years to consistently provide the permanent positive results our clients desire..Gastric Mind Band How Does it Work. Despite the growing evidence around Clinical Hypnotherapy many people question is effectiveness, a simple explanation may help: In 1963, the term “Highway Hypnosis” was coined to describe an altered state of consciousness in which we accomplish all the tasks of driving subconsciously. 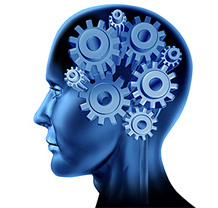 At the same time, our conscious mind deals with a myriad of other mental tasks and issues. Consider for a moment the many complex tasks in which your brain must engage in order to drive a car to a predetermined location. You have to steer, decide when to brake, or press the accelerator, when to press the clutch and change gear, whilst undertaking lane changes, and signaling to other road that you are about to turn a corner, all while keeping your eyes on the road. You have to remember where your destination is and how to get there, and of course to be aware of other drivers, pedestrians, and road construction. And yet we do all this in a heartbeat, without even thinking about it. What if your mind, your thinking around food and food choices, could be re-programmed, resulting in you making different choices, almost automatically!!! The GMB sessions involve our own unique combination of therapies, and are conducted at a pace and in a manner to suit you as an individual. It is normal practice at the Elite Clinic in Spain for both Martin and Marion to be involved in your GMB experience, each of them specialising in their own particular field of therapy. The treatment will involve you being asked to make some short-term changes in your eating patterns, to help you retune into your body’s natural reflexes. Clients undertaking the treatment at home via Skype, on either the Classic or Premier package, can rest assured that the sessions provided will follow the same direction as the clinic-based treatment. Each of the four GMB sessions are detailed below. Below is a short animation video that provides an insight to the Gastric Mind Band Treatment. Each of the four sessions is highly structured and designed to prompt you to ask yourself a number of very deep, psychological questions, some of which you might not have previously considered relevant. 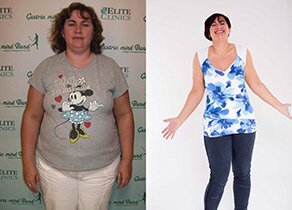 The aim is to get you to develop a different perspective around your relationship with food and embed new ways of thinking and more helpful behaviours around food, that will allow you to reach your ideal weight without the struggle of constant dieting, and then maintain it for the rest of your life. The first of the four sessions is called the conceptualisation session, which can last in excess of four hours. We use our own unique “forensic questionnaire” to help us gather in-depth background information about your eating habits, your current relationship with food, any past dieting attempts, reasons for past successes and possible failures. The session will question your past willingness to make the necessary life changes and also your general and mental health. Of course plenty of time is available for you to ask any questions you may have about the treatment, and the very important, life-changing days that lay ahead. We normally take a coffee break, sometimes two, during the visit. The session ends with your first introduction to hypnosis. 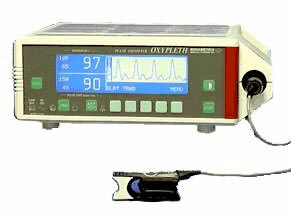 At the clinic we use Oxypleth pulse oximeters during all the hypnosis sessions, which allows us to closely monitor your resting pulse rate and your general level of relaxation. This provides us with indications of any possible adjustments that may be required in subsequent sessions. Session two starts to focus on important aspects such as the potential impact your weight is having on your health. Firstly, you will be taken for a blood test, to check out your total cholesterol, HDL, LDL, triglycerides and fasting blood sugar (glucose) levels. 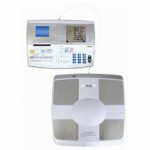 Secondly, the Tanita Body Composition Analyser is used to accurately establish your starting weight, as well as useful and precise information about your body fat percentage, fat mass, visceral fat rating, your unique Resting Metabolic Rate, (sometimes referred to as as your Metabolic Fingerprint) and interestingly, your current metabolic age too. Your Metabolic Fingerprint is the number of calories burned each day simply to maintain normal body functions such as breathing, keeping your heart beating and your brain working, without taking into account any exercise or other physical activity. Metabolism plays such a significant role in our overall health and fitness that your Resting Metabolic Rate, (RMR), accounts for up to 75% of the total calories your body burns each day. Other components of the therapy will be personalised, based on the information gathered during the case conceptualisation. recognising your personal triggers around food. One of the most important aspects of GMB Therapy is to identify and address specific issues and triggers, which often lead overweight people to eat at times when they are definitely NOT hungry. We use elements of Cognitive Behaviour Therapy to pinpoint any sabotaging thought patterns you might have around food and to help you start to change and modify your behaviour. Session two ends with your personalised hypnosis session, recorded live for you to take home. This includes lots of positive, and helpful suggestions, specifically for your benefit, incorporating all the things we will have already discussed during the session. 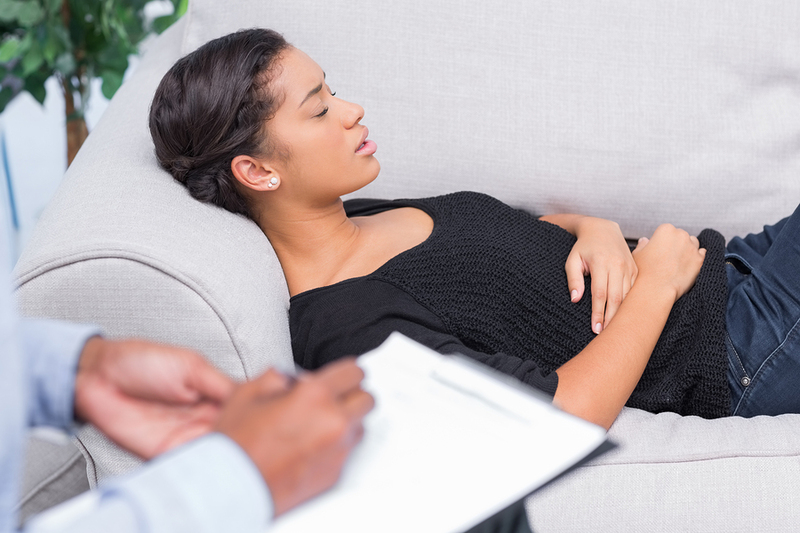 At the end of the treatment, you will be provided with a copy of all the hypnosis sessions. Whenever you listen to the sessions, this reinforces all the positive suggestions, which in turn helps you to stay on track with your new, healthy habits around food and eating. Session three is dedicated to Cognitive Behaviour Therapy. 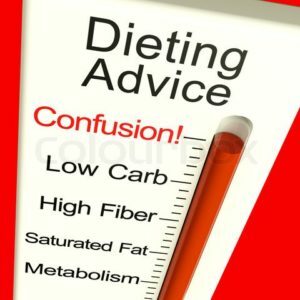 Using all the data collected in the first two sessions, your therapist will introduce you to a whole new way of thinking about food, as well as sharing with you a selection of techniques that will ensure your new eating habits are permanently embedded. 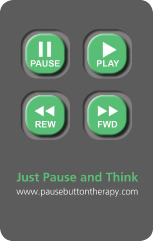 Additionally we explain how to use our Pause Button Technique to literally stop or “freeze” time. Many past clients have stated that they have found this session to be “Mind-Blowing”, or “Life-Changing”. 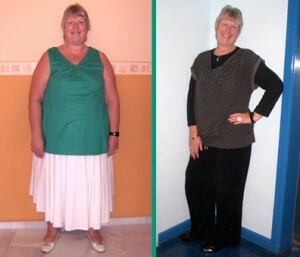 The “Gastric Mind Band” is fitted during the fourth and final session. After an in-depth talk about gastric band surgery, and how it works, you will see and hold a surgical gastric band, and watch a short video showing one being fitted. During the visualisation session which follows, you will then be taken on a virtual journey from the hospital ward to the operating theatre, incorporating all the accompanying sights, smells and sounds, culminating in the gastric mind band operation. But, of course, that is far from the end of the therapy! Before leaving the clinic you will be given your own GMB tool kit: this includes a copy of the GMB comprehensive treatment manual, which covers in detail everything that happened during your sessions. You will also be presented with a set of digitally produced audio sessions. The kit also contains other additional, unique tools, each designed to help you achieve your weight loss goal, including your own mental pause button, and GMB wristband. We will of course present you with a signed copy of both of our books. 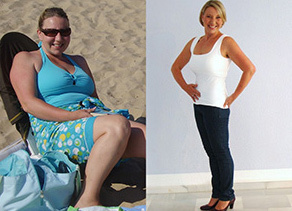 As stated on the Treatments page, the Premier Gastric Mind Band Package incorporates all of the above elements of the Classic Package, with the addition of a personalised nutrition and dietary session, two extra dedicated Hypnotherapy and CBT sessions are also incorporated, all of the extra sessions are of completely unlimited session extension time, each provided as required. Premier clients also benefit from a full clinic based follow-up session, along with a number of extra Skype sessions in the weeks following the treatment. The Gastric Mind Band Therapy is designed to be a life-changing experience, setting you off on a journey to a brand new way of life as a slimmer, healthier person. After the therapy you will certainly have a different relationship with food, and maybe alcohol as well. You will find yourself eating much smaller portions and enjoying a generally healthier diet. Just as having traditional weight loss surgery is not a quick fix, nor a miracle cure, neither is the GMB approach: with both procedures, a number of life changes are required. During the weeks following the treatment we will keep in touch with you, either by phone or by email, so that we can monitor your progress and answer any questions or concerns you may have. Approximately 8-10 weeks after the treatment, we also encourage you to either return to the clinic or arrange a Skype call for a follow-up session, where “adjustments” can be made, and we can discuss your progress in detail. During the session, as and when required we will dedicate time to explain the effects of alcohol with regard to losing weight, there are two pages on the site dedicated to the subject, Alcohol and Dieting and Alcohol and Weight Loss that you may find of interest. Bella Magazine Featured the GMB. When past clients are asked about their overall experience of the therapy, most people describe it as being pleasant, thought-provoking and, above all, life-changing. In the Case Studies section, you can read stories of past clients’ experiences, each in their own words. 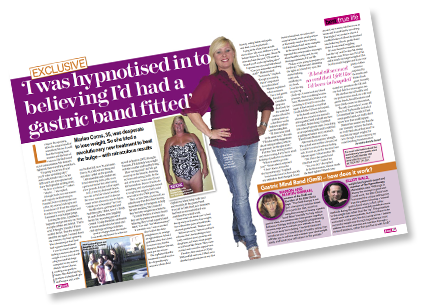 Additionally, if you visit the Press section of the site, you will be able to read independent Gastric Mind Band reviews as published in the world media, including some TV and radio links. Many clients have told us that following the treatment and reaching their goal weight they have taken their first beach holiday, always shying away from the experience in the past. This prompted us to write the following article that you may find interesting. How to always look thin in your holiday snaps. Read Martin’s paper on the Origins of Obesity on this site. In the video below you can see interviews with past clients, along with additional information around the GMB treatment.